“We want people to be curious and have a little imagination,” said Elisabeth Gauffin, head nurse at Stockholm South General Hospital (Södersjukhuset) to the Metro newspaper. The hospital’s nursing manager said the phrasing wasn’t meant to exclude anyone based on looks. I (sort of) get what the hospital was trying to do. Readers may have noticed I’m not without a sense of humour. But I’m not sure the “And of course” phrasing of the ad effectively signals the intended irony. 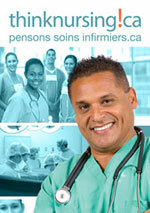 It’s a little pathetic the hospital needs to rely on a tired old cliché to recruit nurses. Ultimately, I think, the ad trivializes what nurses actually do in Emergency departments, and reinforces public perceptions and stereotypes. As a well-seasoned RN, I would be somewhat disinclined to work there. But maybe it’s all lost in translation, and the ad is deliciously funny in the original Swedish. Incidentally, for the record, I am not “TV series hot.” On the other hand, I know to work the buttons on a defibrillator. 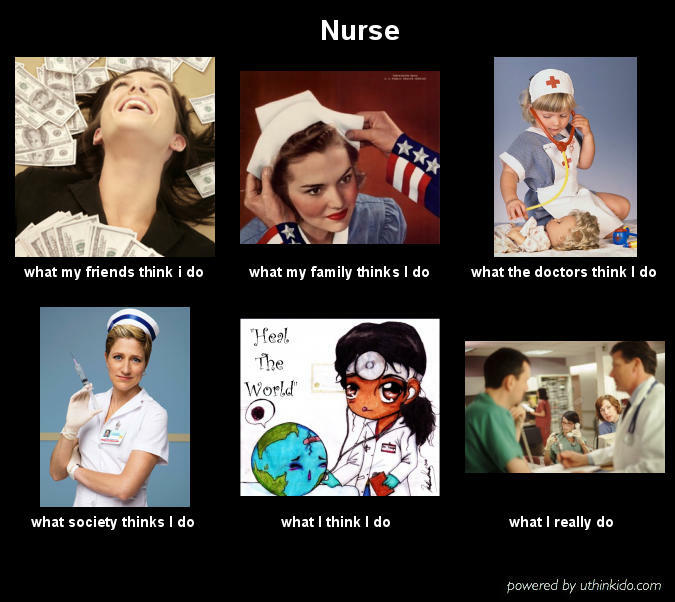 A Paean to ED Nurses or Just Annoying? By David F. Baehren, M.D. We usually look afar for heroes and role models, and in doing so overlook a group of professionals who live and work in our midst: nurses. 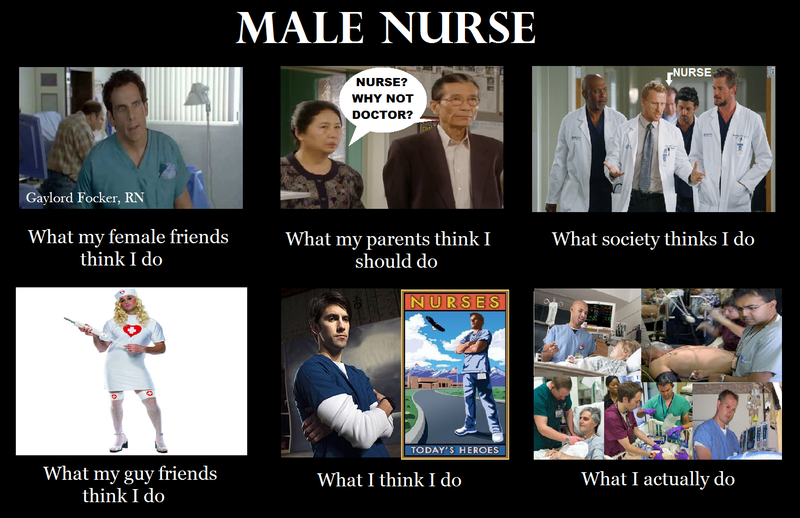 And not just any kind of nurse: the emergency nurse. There are plenty of people involved in emergency care, and no emergency department could function without all of these people working as a team. But it is the emergency nurse who shoulders the weight of patient care. Without these modern-day heroes, individually and collectively we would be in quite a pinch. It is the emergency nurse who cares for the critical heart failure patient until the intensive care unit is “ready” to accept the patient. The productivity of the emergency nurse expands gracefully to accommodate the endless flow of patients while the rest of the hospital “can’t take report.” Many of our patients arrive “unwashed.” It is the emergency nurse who delivers them “washed and folded.” To prepare for admission a patient with a hip fracture who lay in stool for a day requires an immense amount of care–and caring. Few nurses outside of the emergency department deal with patients who are as cantankerous, uncooperative, and violent. These nurses must deal with patients who are in their worst physical and emotional state. We all know it is a stressful time for patients and family, and we all know who the wheelbarrow is that the shovel dumps into. For the most part, the nurses expect some of this and carry on in good humor. There are times, however, when the patience of a saint is required. Then I thought about it. The nurse-as-saint-and/or-angel meme is quite strong in this piece, and is something that needs to be retired quickly. And why do nurses look to other professionals for validation? Or am I being churlish? The message, in any case, from our physician colleagues, is that nurses should shut up. We should not be airing our dirty linen in public. Any mention of physician bullying will only serve to exacerbate poor nurse-physician relations. It’s unfair to single out physicians. We aren’t bad actors ourselves, we treat nurses with the utmost respect, ergo, nurses should acknowledge the physician bully is a singular creature, as unique as a butterfly in a Toronto January. Et cetera. I don’t think it’s quite true that physician bullying is rare and out of ordinary, even now, despite assertions to the contrary. When I thought about it, I realized without too much difficulty I could list dozens of examples of physician bullying, that I have been subjected to or witnessed, some dating from the dark ages of the late 1990s. These range from the utterly appalling — like the ED physician who unfairly and angrily blamed the primary RN for the death of a septic neonate, in front of the parents — to the half-humourous, some of which I have documented on this blog. I’m pretty sure nurses reading this could come up with a similar list. Stating that some physicians bully, and that it is a more widespread problem than physicians themselves suppose, is not to take away from the respectful and collegial relationships I enjoy with the vast majority of the physicians I work with, but rather to address the reality of the complex power relationships in the hospital pecking order. It isn’t physician-bashing to point out the obvious. In any case both Vox and Pho ignore the central point in Brown’s piece: that when physicians bully, patient care suffers. It suffers because nurses are understandably reluctant to deal with a physician who will demean them. Who wants to call with a high blood sugar in the middle of the night, or question an inappropriate medication order, if you’re pretty sure you’re going to get reamed out in the process? It suffers because it’s a large factor in determining quality of nursing work life: poor nursing morale results in poor patient outcomes. So there are some very good reasons to point out this behaviour out. Should have Brown been so specific, even if anonymously so? Both Vox and Pho complain vigorously about Brown’s lack of discretion in her account of the incident. My only thought is that their reaction is a bit over-dramatic, because the only people witnessing the inappropriate behaviour were the care team and the patient — and they don’t have to be told who the bully is. Further, I guess if Brown is as careful as most health care bloggers, she’s disguised the identity of the physician in question by changing details and artful misdirection so that it would be difficult for even employees of her institution to make identification. And I’ll add a small artistic quibble: a direct, concise, personal example is worth a thousand words of exposition. In the event, I’m not clear where the appropriate place would be to deal with it, except publicly and openly. Bullying is an exceedingly frustrating issue for nurses, mostly because of the sense of powerlessness. When you’re subjected to the bullying, you feel like a target, and helpless to boot — and you can only respond with difficulty because the power relationships within the hospital hierarchy. In short, physician-bullies, like bullies everywhere, get away with it because they can. Nurses have been complaining about bad physician behaviour since Florence Nightingale disembarked at Scutari. You would think, that after 150-odd years of politely asking physicians to pull up their socks, they might take the issue to heart and engage in some real collective self-reflection on the issue. It was encouraging to see this in a few of the comments to all the posts, amid all the palpable anger toward Brown. But she only put to words what every nurse knows. The physician reaction to complaints of inappropriate behaviour has always been to minimize, to scorn, to condescend, to trivialize, to redirect, or to deny. Kevin Pho points out, correctly, that hospitals are beginning to address the issue through workplace respect programs. But in all seriousness, how many physicians have actually been called to account in any meaningful way by these programs? Pho writes, in another post on the subject that, “My issue is Brown’s methods, by pitting a wronged nurse against arrogant doctors. It’s a narrative that physicians will lose 100% of the time, no matter how they respond.” True enough. But despite this, it’s also true that nearly 100% of the time bullying physician behaviour will go by without serious consequences. The question I would like to pose to both Vox and Pho — and all the angry physicians out there — is this: have you ever witnessed a physician bullying a nurse, and what did you do about it? Their answer, I would guess, would be, “Yes, and nothing.” I would be gratified to hear otherwise. So physicians, stop complaining. We’re merely pointing out bad behaviour. It’s up to you to fix it. 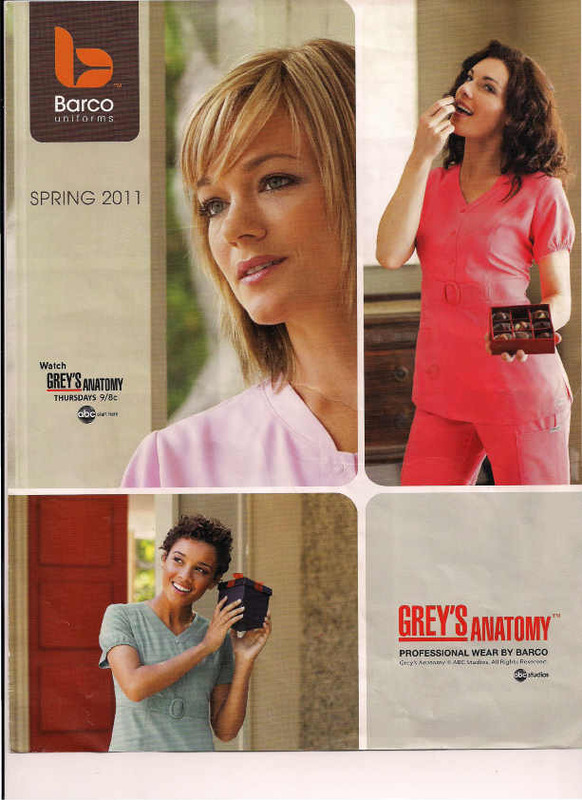 A brochure for scrubs. Because every nurse wants to be like the nurses on Grey’s Anatomy, i.e stupid and/or bitchy handmaidens props who exist to demonstrate physician superiority. ‘Tis the season, apparently. After Dr. Oz, we have our very own Canadian example, from a beer company based in Calgary, featuring scantily clad nurses attending a physician. Here’s the ad — it’s already been flagged on Youtube, so you’ll have to login to to see it. The thought occurred to me, as I was writing this up: from the beer companies perspective, the old truism might be true after all: there’s no such thing as bad publicity, and here I am, enabling them!